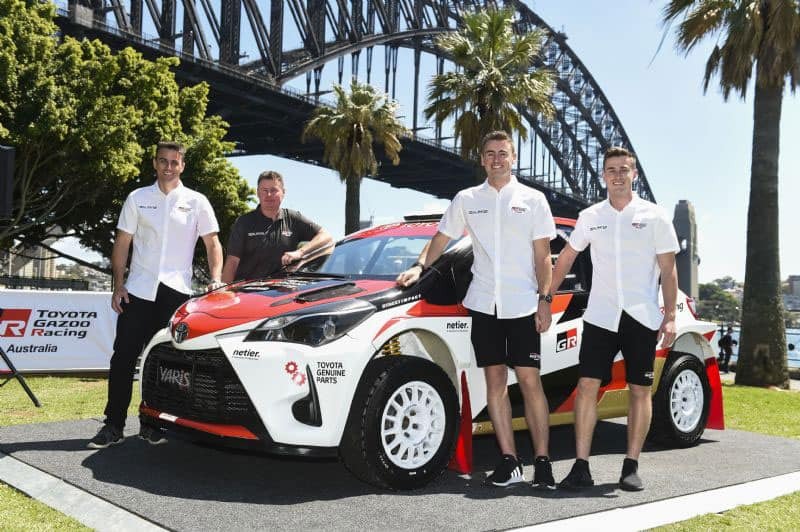 The announcement of the new Toyota Gazoo Racing Australia team for the Australian Rally Championship has meant a huge workload for the Neal Bates Motorsport team over summer. 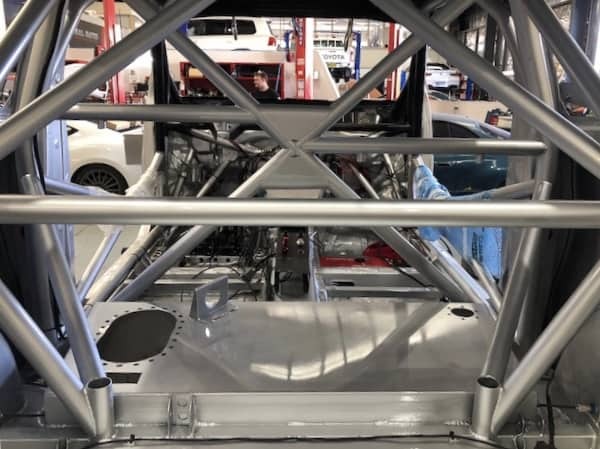 This has not only included preparation of the team’s existing Yaris AP4, but to build a brand new car for the all out assault on the 2019 season. 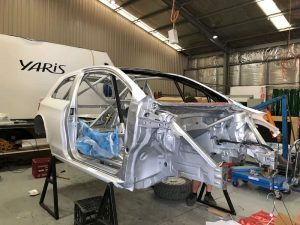 With a month remaining before the first round of the championship at the Forest Rally in Western Australia, the car has just returned from painting, and assembly has started. RallySport Magazine spoke with Harry Bates on the build of ‘Yaris 2’, who explains that a lot of the work has already been completed. “The new Yaris shell is completed,” Bates said. “The list of work that goes in to the bare shell alone is quite extensive. The roll cage is one part of course, but then the modifications on a standard Yaris to suit a Yaris AP4 are a big part of the build. As this is the second build of the Yaris AP4, it is now where the speed of the assembly ramps up as there is already parts produced, so measurement and fitting is simpler. 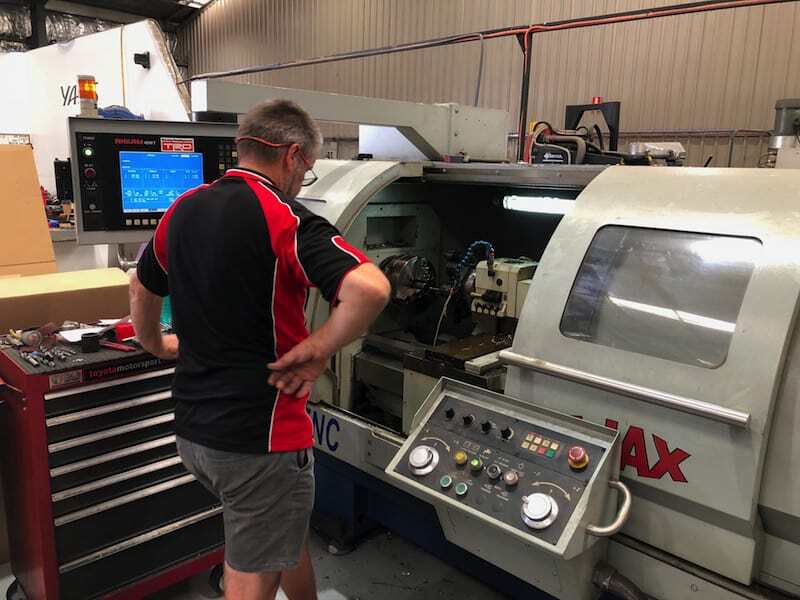 The Yaris AP4 is currently being assembled at the Canberra workshop. “The main improvements in process comes from now having everything ready for assembling the shell,” Bates added. “When we built Yaris 1, we were measuring up parts and manufacturing them as we went, which meant the total build time was longer. “For Yaris 2, all of the parts were ready to go as this car is a carbon copy of the first one, so assembly time will be much faster. “Last time it took us four weeks in total to assemble the car after it came back from paint. This time we are hoping to have it done in half that time. The assembly process will be much shorter on ‘Yaris 2’ as all of the parts are already prepared. With Lewis Bates already coming to grips with the initial Yaris, Harry will obviously have to wait to drive his 2019 challenger. The goal is the third week of March to test the car, which should leave ample time to test the car for round one in WA. Prior to driving his new car, Harry will share ‘Yaris 1’ with Lewis at a local ACT rallysprint to keep himself match fit for the season ahead. The roll cage of the Yaris AP4 is impressive.